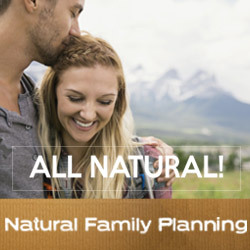 ARE YOU LOOKING FOR SOMETHING NATURAL WHEN IT COMES TO YOUR FAMILY PLANNING NEEDS? The Creighton FertilityCare System is based on advanced educational technology that relies on the standardized observation and charting of natural biological markers to determine the phases of fertility and infertility in a woman’s cycle. Our educational program will help you to understand your fertility cycle in depth. Additionally you will be able to identify what’s normal and abnormal regarding your fertility and reproductive health. The Creighton FertilityCare System is a comprehensive fertility program for couples to integrate family planning, reproductive health, and marriage enrichment. Married couples who use The Creighton FertilityCare System and the tool SPICE report many benefits including: better communication between spouses, increased patience, increased emotional maturity, deeper understanding of each other’s bodies, and growth in respect for God’s gift of fertility. Do you want to learn more?